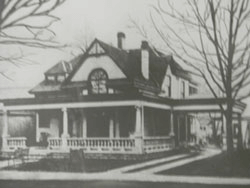 The original E. Beanblossom & Son Funeral Home was established in 1894 by Emmett Beanblossom in Mauckport, Indiana. The funeral home was relocated to Corydon in the early 1900s where it operated on Chestnut Street for many years. Emmett’s sons, Noble and Ira, joined their father in managing the business and moved it to its current location on Oak Street in 1941. 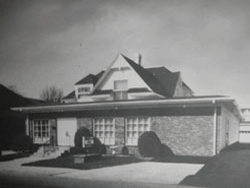 In 1942, the name was changed to Beanblossom Funeral Home and operated as such until Howard E. “Joe” Steenbergen purchased the business in 1958. Mr. Steenbergen owned the funeral home until 1983, when Paul J. Cesar acquired the business. In 1984, the name was changed to Beanblossom-Cesar Funeral Home. Paul's wife, Juanita, and children, Chad and Leanne, have continued to operate the business, since his passing in 2001.